LCR Embedded Systems, the market leader in electronic systems packaging, offers standard and custom power distribution units (PDUs). 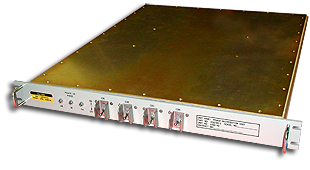 The rack- or cabinet-mounted systems reliably distribute power while monitoring power usage, controlling power outlets, and remotely reporting any issues. All of our PDUs have a lightweight, compact, rugged design for military and industrial applications and can be used in airborne, shipboard, and ground mobile environments, and can also be customized to fit your exact program specifications. Each PDU is supplied with integrated EMI filtering to provide clean power for your most critical systems and can be used with any of our subsystems and enclosures.